PA-31T-620 Cheyenne - Two 460kW (620shp) Pratt & Whitney Canada PT6A-28 turboprops driving three blade constant speed Hartzell propellers. 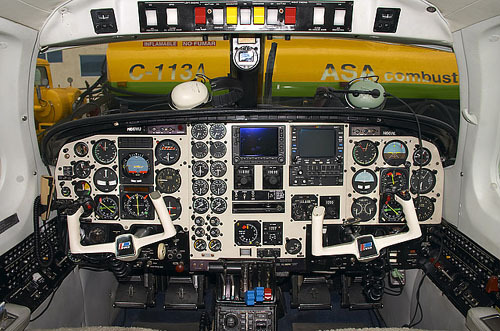 PA-31T2-620 Cheyenne IIXL - Two 560kW (750shp) PT6A-135s. PA-31T-620 - Max speed and max cruising speed 516km/h (280kt), economical cruising speed 452km/h (244kt). Initial rate of climb 2800ft/min. Service ceiling 29,000ft. Range at max cruising speed 1555km (840nm). PA-31T2-620 - Max speed 510km/h (275kt), max cruising speed 500km/h (270kt), economical cruising speed 385km/h (208kt). Service ceiling 32,400ft. Range at max cruising speed 2608km (1408nm), at economical cruising speed with max fuel 2740km (1478nm). 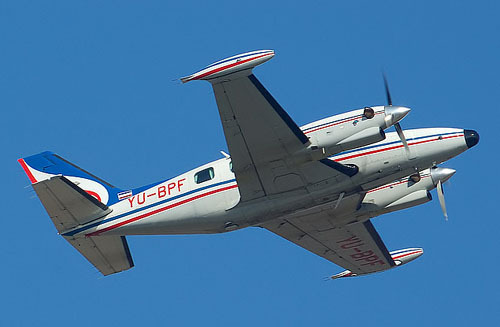 PA-31T-620 - Empty equipped 2260kg (4983lb), max takeoff 4082kg (9000lb). PA-31T2-620 - Empty equipped 2580kg (5680lb), max takeoff 4335kg (9540lb). PA-31T-620 - Wing span 13.01m (42ft 8in), length 10.57m (34ft 8in), height 3.89m (12ft 9in). Wing area 21.3m2 (229sq ft). PA-31T2-620 - Same except for length 11.18m (36ft 8in).